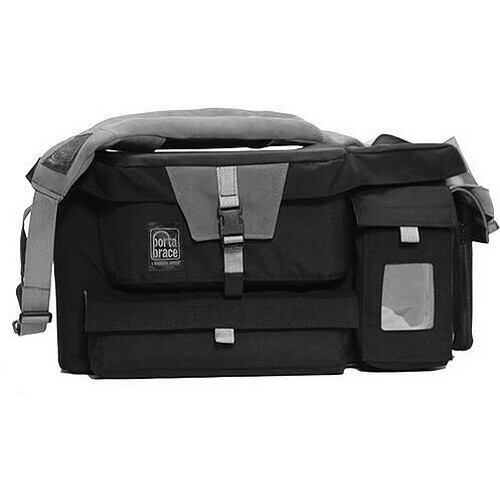 The Porta Brace CC-235B Quick-Draw Camera Case (Midnight Black) provides a convenient way to carry and protect a pro camcorder on the ground, in your car and in the air. This padded 1000 denier Cordura nylon case has an internal plastic frame and a redesigned viewfinder guard for 100% protection and security. The top loading case has a removable lid that closes with touch fasteners for quick opening or it can be secured with zippers. The case holds a camcorder with an on-board battery and most wireless configurations attached. The flared-wall design accommodates matte-boxes and large lenses so time is saved by not having to take these items off each time the camcorder is placed in the case. For extra long lenses there's even a zippered Camera-Extension Pocket on the side of the case that, when deployed, adds up to 3.0" to the interior length of the case. There are two positionable foam blocks to hold the camera in place and provide lens support. The anti-skid material on the bottom exterior of the case will keep it from sliding around in a vehicle and the same material on the interior base will give extra stability to the camcorder. A LI-GLW illumination strip light pocket is included. 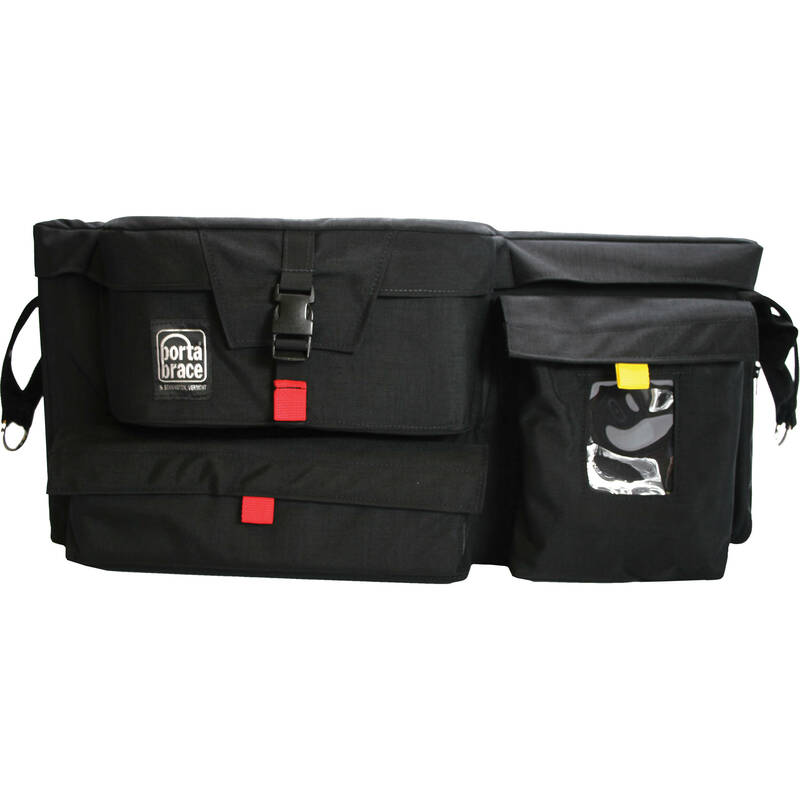 Two large pockets allow compact transportation of tapes, cables, batteries, tripod plates, etc. Box Dimensions (LxWxH) 24.0 x 12.5 x 11.0"
CC-235B Quick-Draw Camera Case (Midnight Black) is rated 3.0 out of 5 by 1. Rated 3 out of 5 by Jeanne the Videographer from Good bag, Not a Carry-case A beautifully made bag, which I hoped to use out of my car. But I found this to be overly large and heavy - almost like a big, portable file cabinet. It wouldn't work for shooting out of my car - just too big. It was also heavy, especially as I was planning on carrying it over my shoulder into the field. So, I returned it and went for the Porta Brace CTC-1 Traveler Camera Case for my Sony EX-3. I'm in heaven, now.